If you think Hawaii is all jet-setter thrills and Big Island adventures, well—you’re partly right. But there’s another side to the Aloha State, a side that’s probably a bit truer to the Island’s spirit. 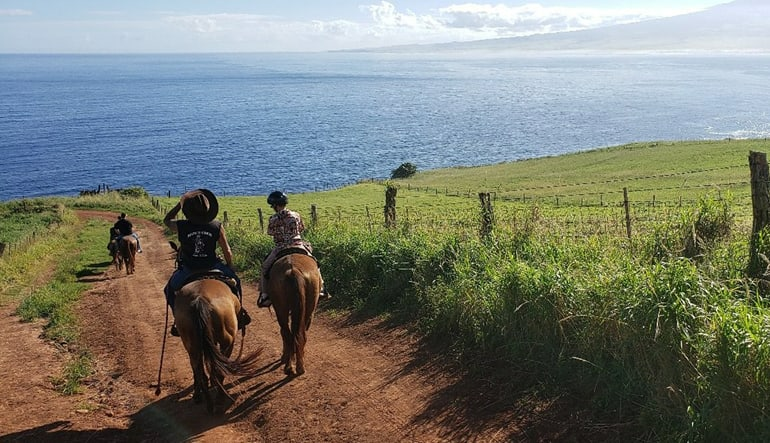 And this horseback riding tour by the Pacific captures that spirit to a T.
Horseback riding in Wailuku is the unhurried kick you’ve been looking for. 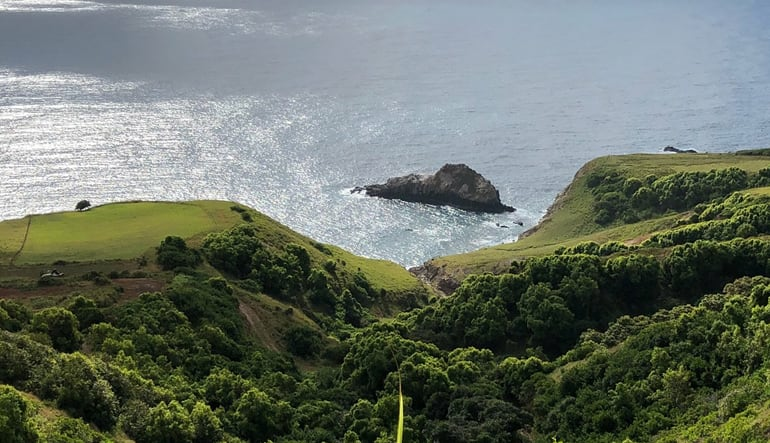 Designed for riders of all skill levels, this journey takes you right up to the Pacific Coast and unveils some of the most striking blue scenery you’ll ever see! Show up to the ranch for your afternoon ride and be paired with a beautiful mare or stallion. If you’re new to horseback riding, learn the basics from a friendly instructor. 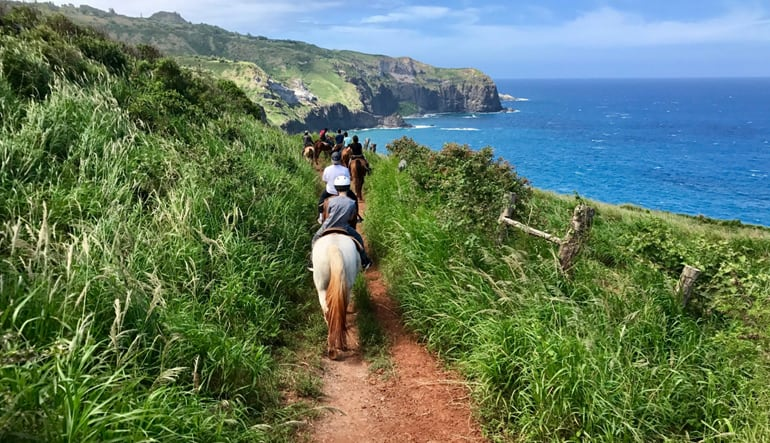 For 90 minutes, trot and canter down the valley to the Pacific coastline. Capture the day with some great photo opportunities. Your guide will snap some shots of you and your trusty companion. 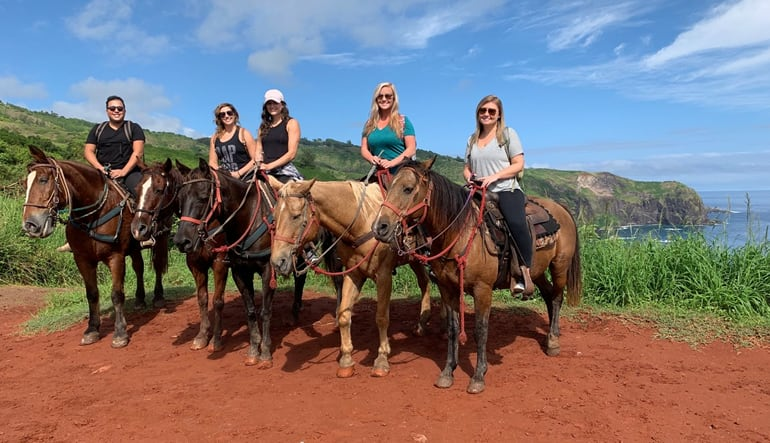 Horseback riding offers you the perfect opportunity to explore Hawaii the way it was meant to be—care-free, laid-back and wide-eyed!